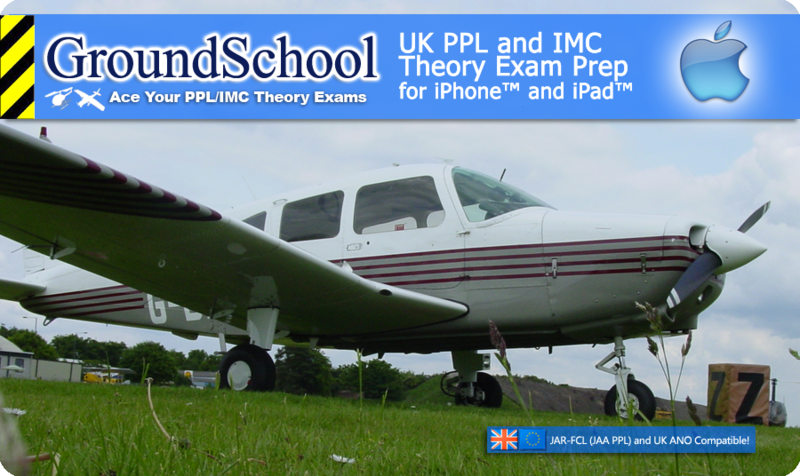 In addition to our PC and WindowsMobile™ offerings, you can now study for your UK pilot theory exams using our GroundSchool apps for iPhone™, iPad™, and/or iPod™ Touch. 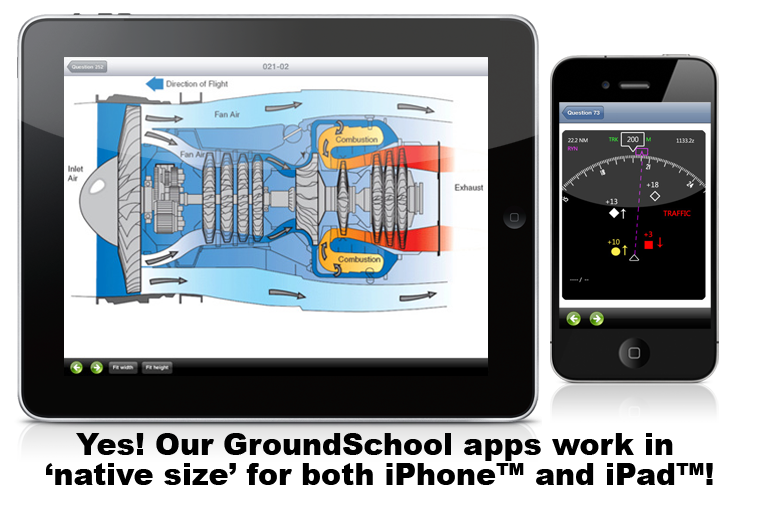 FREE built-in updates that ensure that you always have access to the latest actual test-simulatring questions. All charts and figures that you'll need to reference are included (though, as with the PC versions, you will likely want to supplement your study with real-world charts and graphs, a flight computer, and so forth). Click on one of the links above. This will take you to iTunes where you can purchase it just like any other App for your iOS device. I want to use both the PC and iPhone™/iPad™ software. Can I get a discount? Are the iPhone™/iPad™ apps up to date?